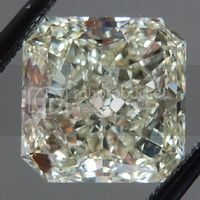 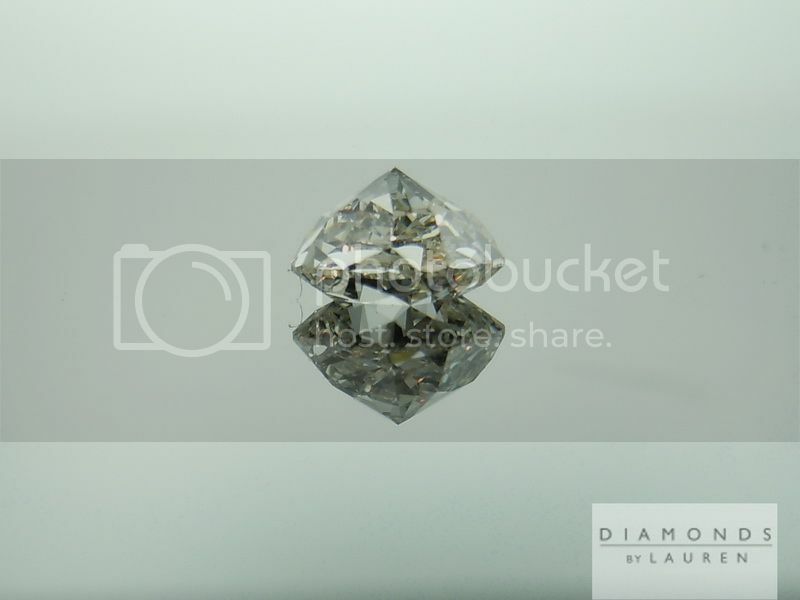 Here is another of our unique, highly sparkly square cushion diamonds. 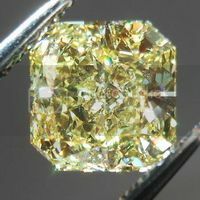 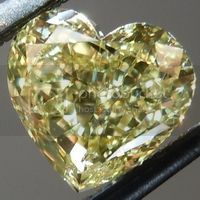 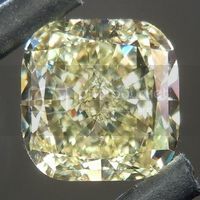 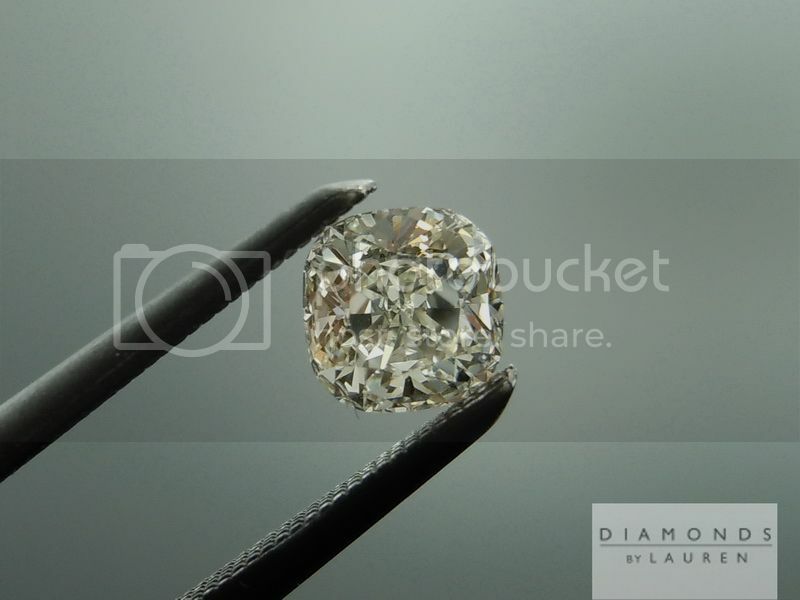 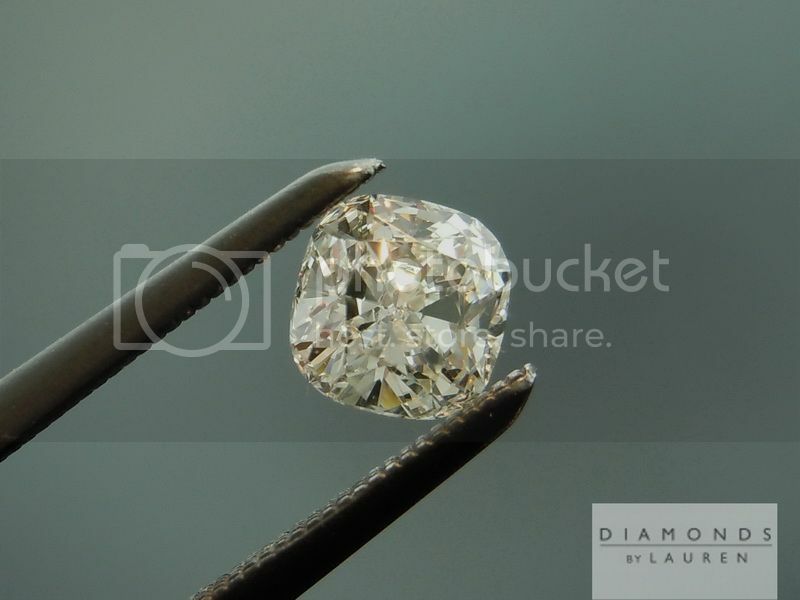 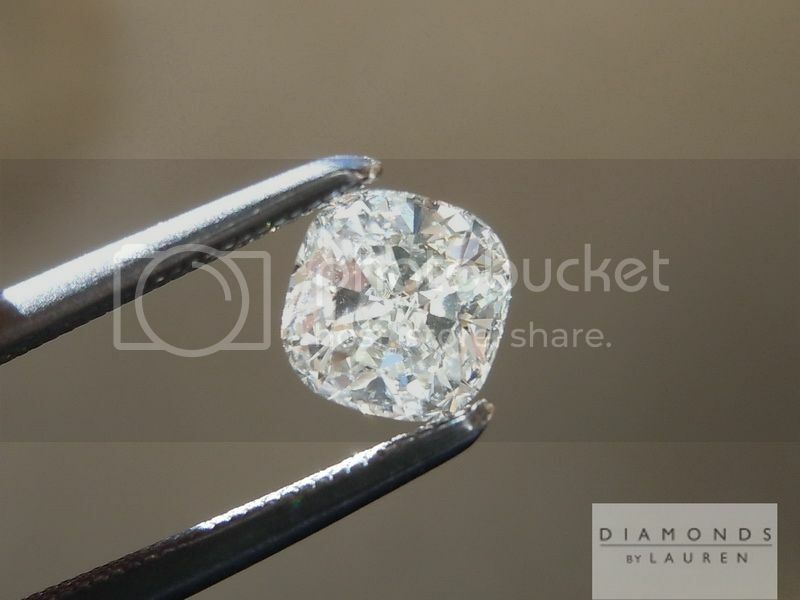 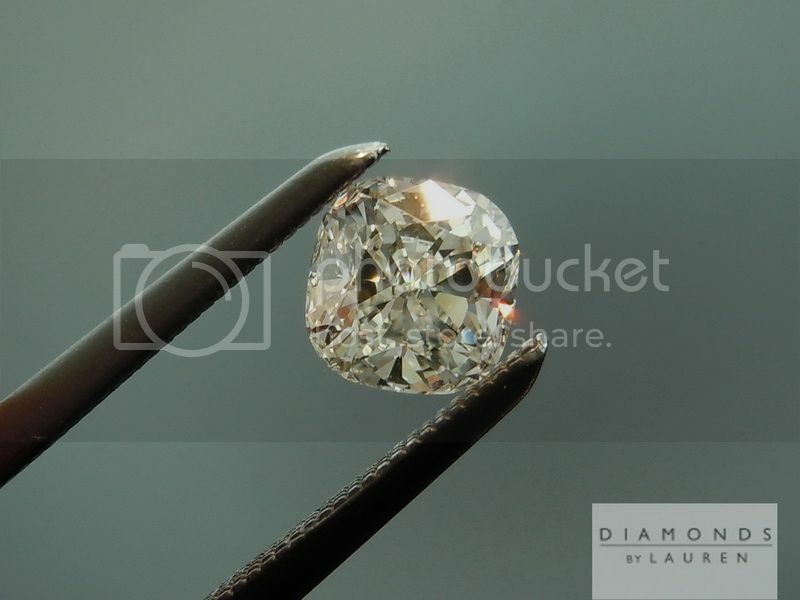 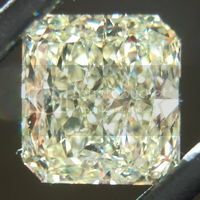 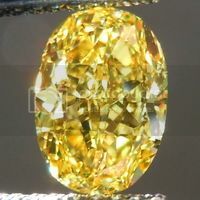 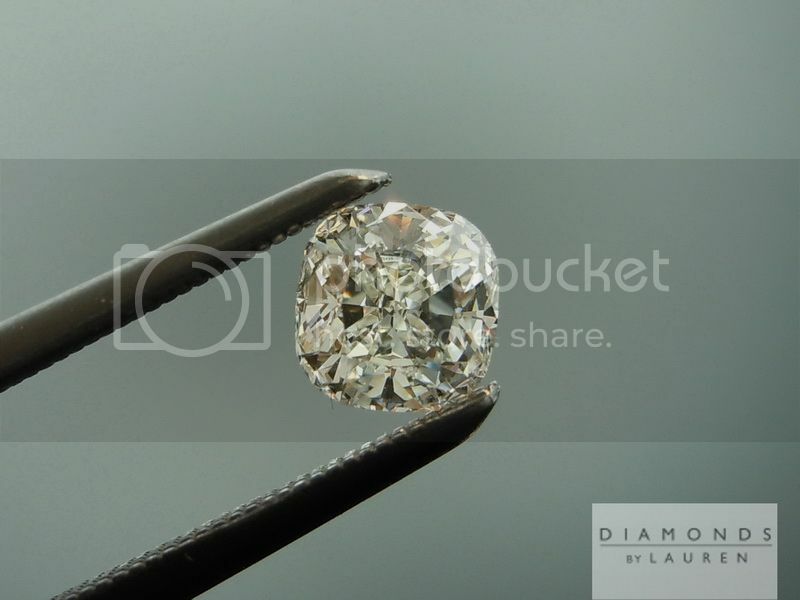 This diamond, as a K color, does show a bit of warmth. 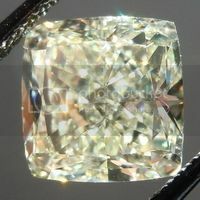 The small table high crown combo helps to make the stone very bright. 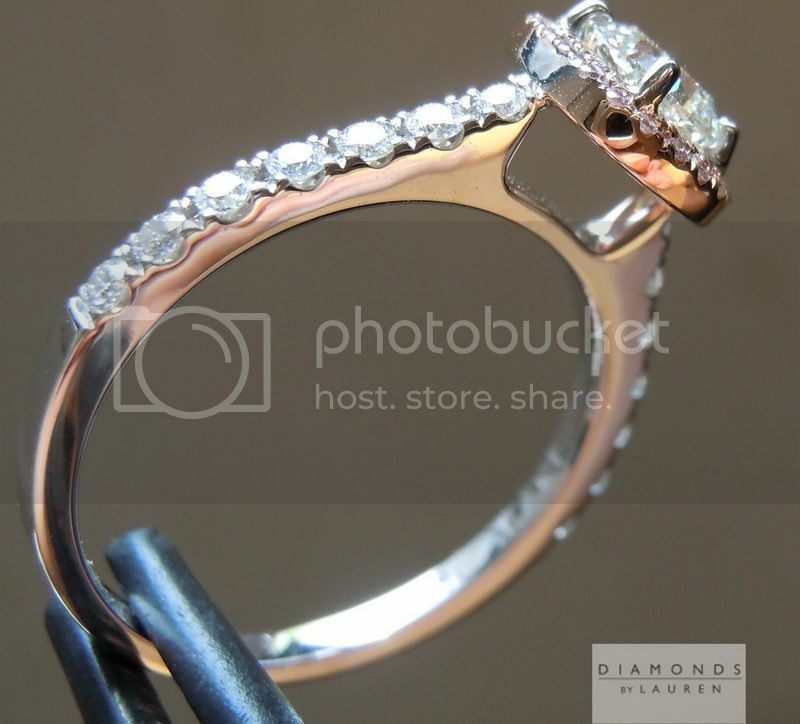 Bottom line is that the color is not a “problem” unless one is color sensitive. 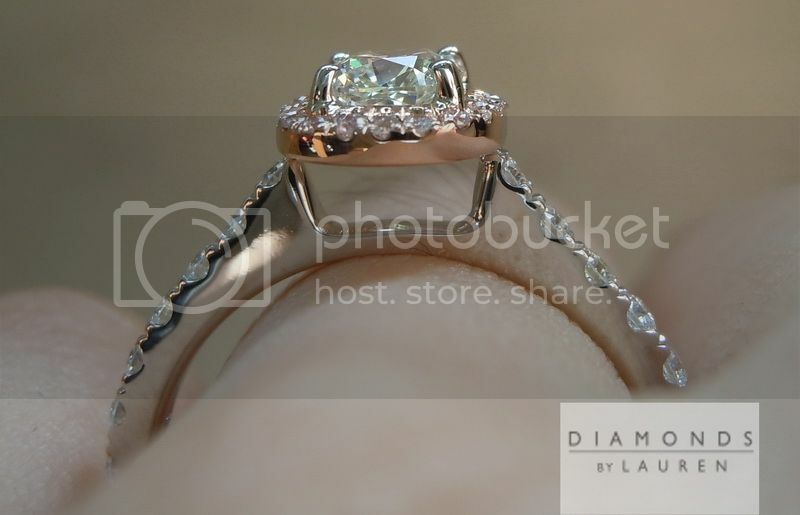 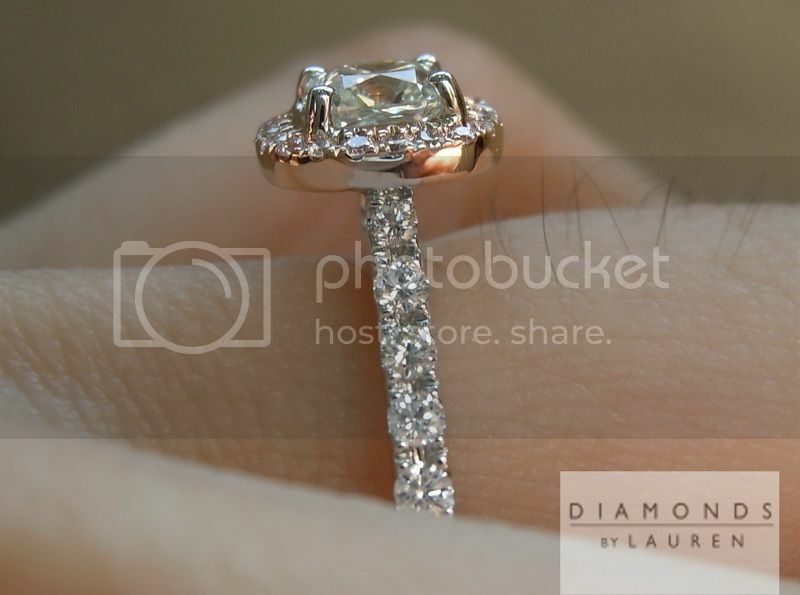 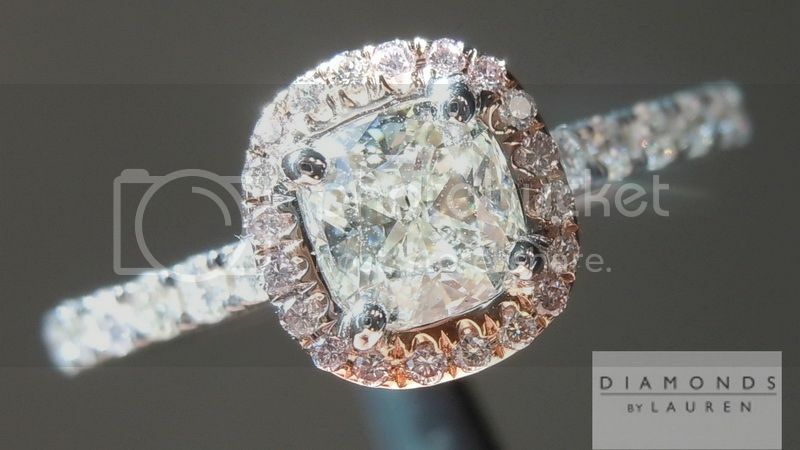 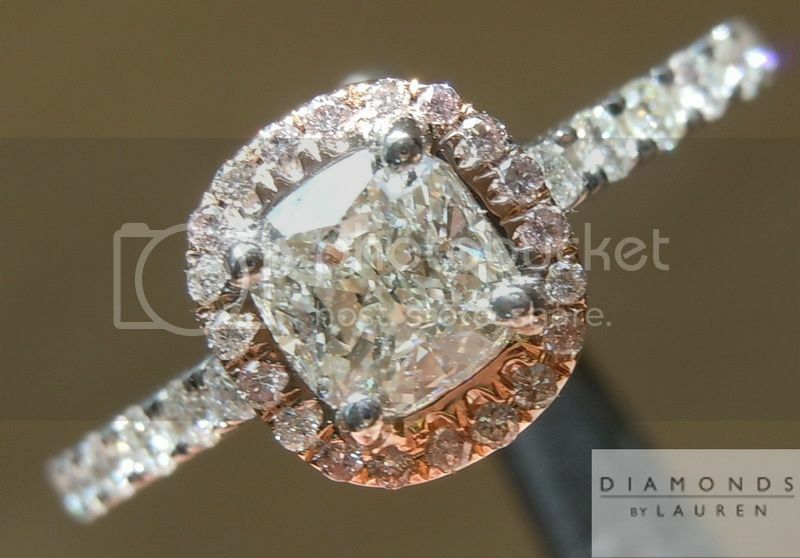 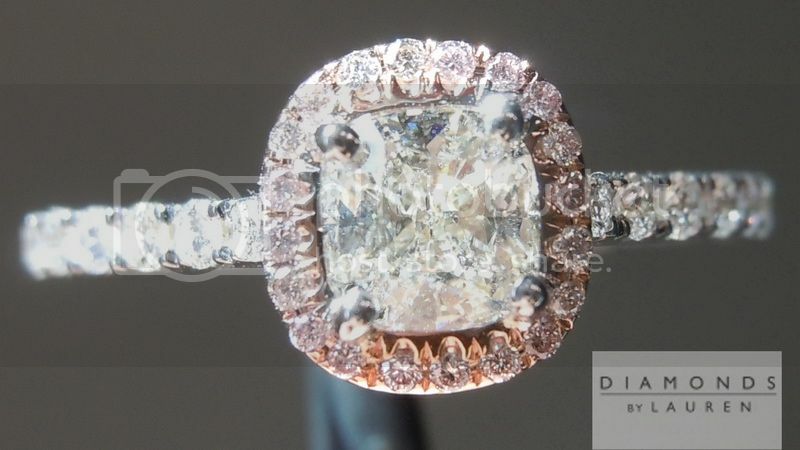 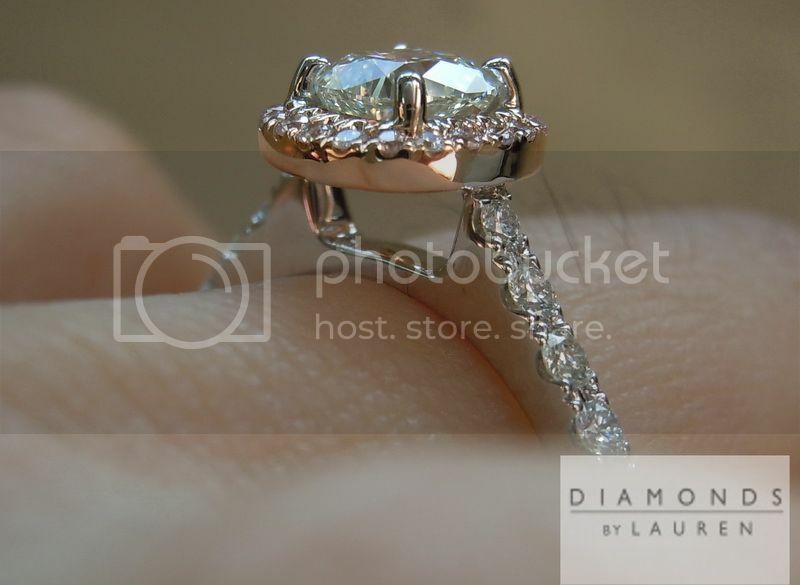 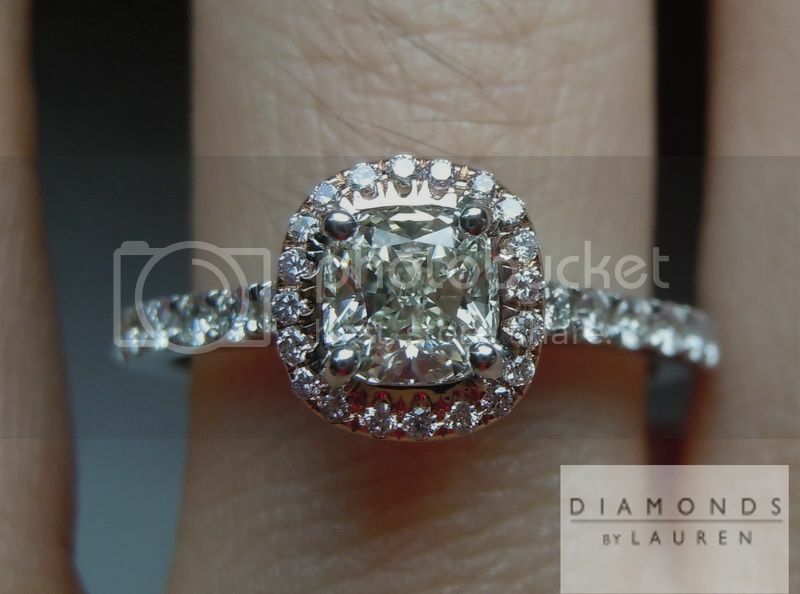 This is another one of our lovely pink diamond halo rings.